Hip Check believes in being partners not service providers. To accomplish this, we combine our skills with our passions. Through a personal service approach, Hip Check provides custom solutions to solve our client’s unique problems. In order to do this, we focus on the industries we know and care about: food, entertainment, art and sustainability. We also believe that a company’s size shouldn’t restrict them from quality, experience, and thoughtful consultation. We give the same level of service, follow-through and investment with all of our clients, no matter their size or the size of their budget. Tony is a solutions architect and interactive technologies crackerjack. With more than 17 years of experience building communities, mobile applications and business strategies, Tony has led projects in all stages of growth. With focus and expertise in sustainability, food, art, and education, Tony has taken napkin-sketches to award-winning interactive experiences. Raquel has a wide variety of experience and skills when it comes to digital media outreach. She’s created digital marketing strategies for companies like Sprint, Dell and Johnson & Johnson. She believes every business should utilize their digital identities to build a loyal customer base. Kristen attacks problem solving with the eye of a designer, the precision of an engineer, and the business sense of an executive. Over the last 18 years, Kristen has led teams to create companies and software that people love. From UX & branding to engineering and process development, she partners with stakeholders to drive progress and results. We create mobile applications and websites while providing digital media strategy and training. From marketing and promotion to e-commerce and utility, we believe no site or app is complete without an outreach strategy and metrics to track its effectiveness. Often overlooked, the first step of a project is the most important one. We’ve found that the more we understand our customers, the better we’re positioned to build a sustainable program, application or campaign. We’ll ask more questions than you’re used to, but the results are well worth it. Now that we’re aquatinted, let’s brainstorm. Utilizing the validated learning cycle, we meet to discover the best way to make the ideas come to life. We lead this process through common brainstorm techniques that help everyone focus on the end goal. Once all the details are locked into place; we get to typing. We use our background and skills to create the best end-results we can. With metrics and data, we improve as we go. All the while, keeping you in the loop and up-to-speed so nothing comes as a surprise. We’ve built it; now it’s time for you to break it. We mean it. Get in there and see how the system holds up against daily use. Depending on the projects specifics, we might also include training or outreach strategy. Often though we just send you on your way to do what you do best, run your business. 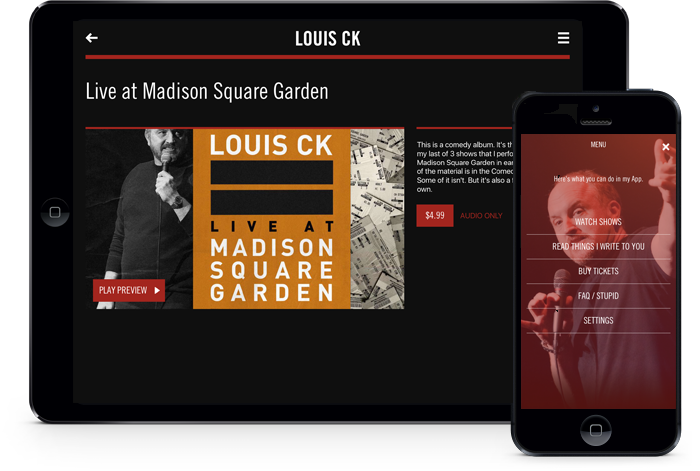 The latest of the Hip Check projects is an application suite for the comedian and cable television star Louis CK. 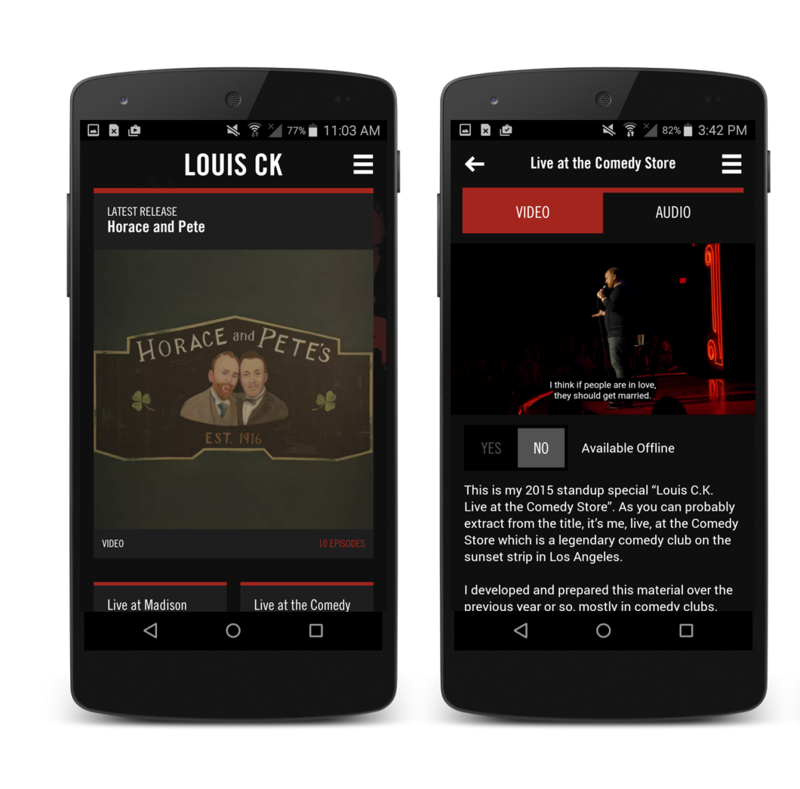 Similar in functionality to Louis CK’s website (louisck.net), the application suite allows for users of multiple devices to watch and listen to his shows and standup comedy wherever they are. Current apps include iPhone, iPad and Android. Overall, the process was an exciting exploration of delivering simple functionality while keeping the flow and feel as unique and entertaining as the man himself. With our own Tony Ash at the helm of the project, we dove into every aspect from design and development, to copy and outreach. You’ve never seen the US economy in quite this way. Award­-winning directors and leading economic experts team up for a MUST SEE, incredible short­ film series that tackles 20 essential questions about our economy through comedy, animation, music, and dance. This interactive experience will leave you saying to your friends…WOW, I AM THE ECONOMY! Over the past decade, Urban Plough Arts has explored the idea of placemaking through an artistic lens. They’ve created large scale installations and environments with the goal of cultivating a sense of wonderment and contemplation in those who encounter them. 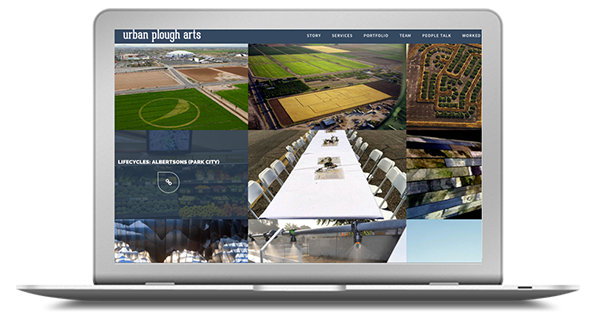 They approached Hip Check Co to build an online presence for the company that delivers the same user experience as they work Urban Plough Art does. With a heavy reliance on stunning imagery, UrbanPloughArts.com is both functional and beautiful.